It’s always amazing to find new services or gadgets, and devices; especially when they make life easier. New technologies and solutions are always being developed. From Smartphone Apps, to depositing checks directly to ATMS and down to the small things, such as easy wine openers, the list goes on. 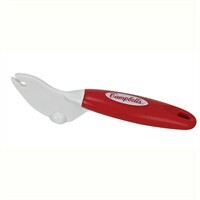 One of my favorite gadget finds from several years ago and one that I still love to use is the Campbell’s Pop N Pull can opener. Because of my cerebral palsy, I have difficulties with my fine motor skills, such as opening can tabs. Many canned items have easy pull tabs that eliminates the need for can openers. And even for some people like me, the easy pull tabs are not so easy. I use the Pop N Pull can opener, which is easy to use and makes my life easier. A few weeks ago, I came across a really awesome company online. The company offers custom professional/business attire to people with disabilities and/or others who have unique clothing requirements. From someone who loves clothes and someone who also has difficulties in finding clothes that fit, I was ecstatic to learn about the LegaWear Company. The clothes are completely custom made for each individual. When you visit their website, you’ll see a variety of clients with various clothing requirements. The service of custom clothing for people with disabilities, I believe, is a long time coming. The LegaWear company is founded by someone with a disability and who also needs clothing to be specially made. If you’re interested in learning more about LegaWear, visit their website www.legawear.com or watch the video below. Here are some other cools gadgets that might interest you. What are some of your favorite gadgets? It’s true that with latest gadgets the life as become really easy to handle, and with all the equipments too.